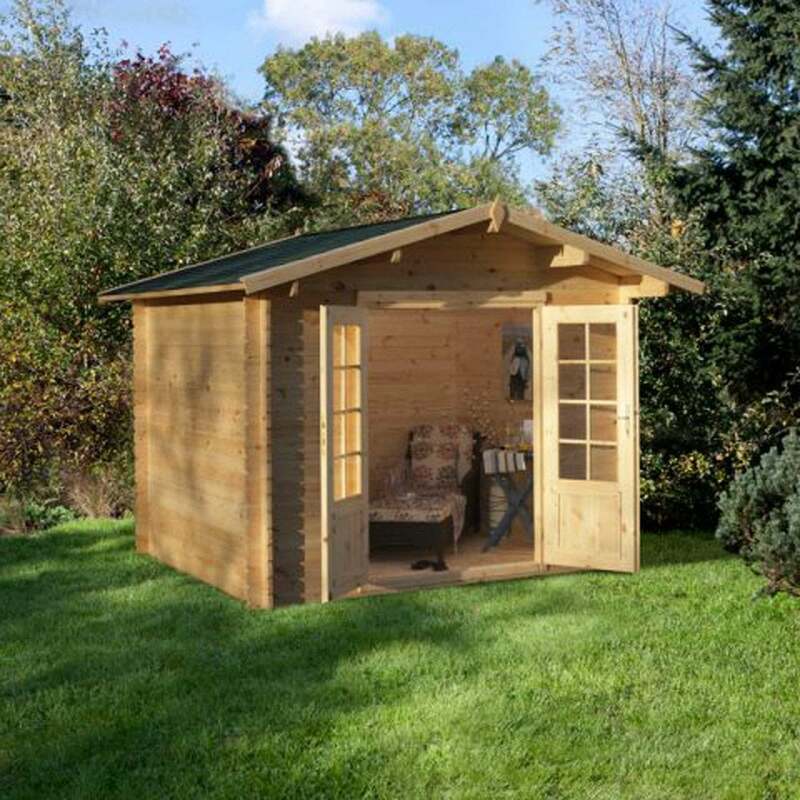 Forest Garden Bradnor Log Cabin 2.2m x 2.2m: The Bradnor Log Cabin is one of the smaller log cabins by Forest Garden which features a quaint design perfect solution where space may be limited in the garden. The 2.2m x 2.2m Log Cabin is constructed from 28mm machined timber logs and 19mm tongue and groove timber for the floor and roof for a sturdy structure. The Bradnor Log Cabin features three-quarters single glazed double doors to provide the interior with ample natural light and ventilation and also includes a mortise locking system to keep your building secure when not in use. The Forest Garden Cabin also includes a slight roof overhang which provides shade and protection for the front elevation and also includes attractive roof shingles in a green/grey fleck rectangular design.